An edition can be free or paid. If it's a paid edition then you should enter monthly and annual prices. You can allow tenants to use trial version of this edition for a specified days. 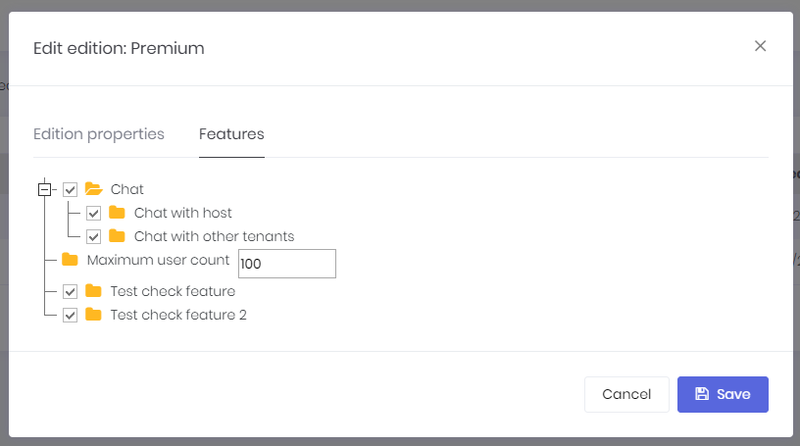 Then you can determine an expire strategy: How many days to allow a tenant to use the application after subscription expires. 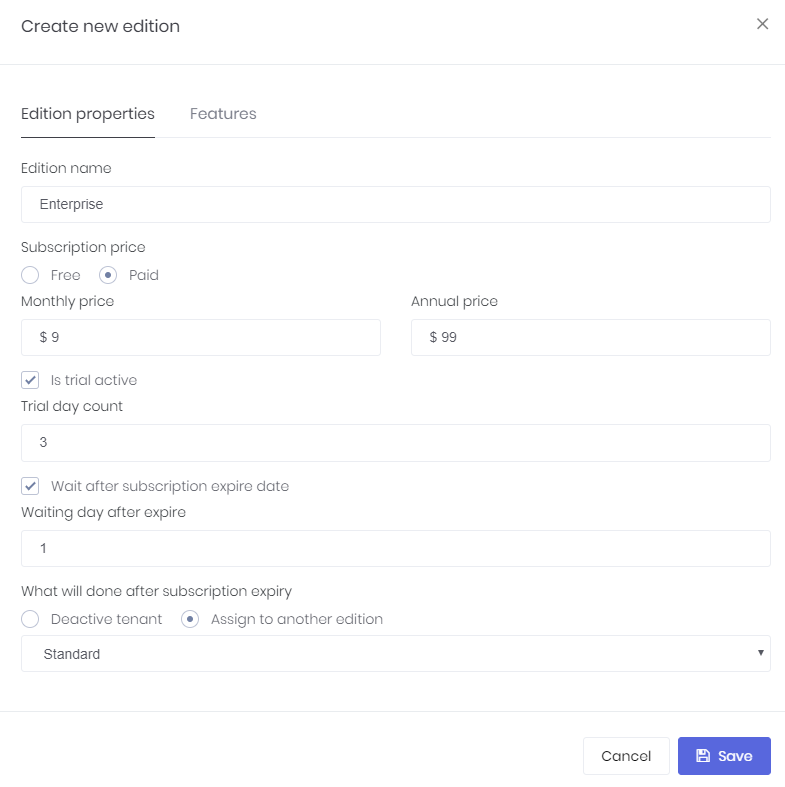 And finally, you can deactivate tenant or assign to a free edition if they don't extend their subscription.